Do you love your book cover? Or does it hate you? Sometimes we think our cover's da chit, but we never really know what a potential reader is thinking. I usually create anywhere from 8 to 10 cover samples and throw them in front of my friends here at The Writing Bomb whenever I'm preparing to launch a new book, and I always get plenty of feedback. In fact, I usually get between 45 and 75 comments whenever I ask about my new cover designs. The input is great and the "show and tell" is a lesson in marketing. There is no better way for a newer author to drum up interest for a new book than to ask his followers what they think about his cover. And these events have taught me plenty. I've learned more of what works and what doesn't work from your input than anything. Seriously. You guys are great. I've also learned a few things about cover design by watching books that aren't selling. And this goes for one of my "apprentices", Robbi Bryant. She was getting great reviews and her writing is crisp and well edited. But she wasn't selling. She had a pretty catchy cover. It popped. Robbi loved it. Unfortunately, the first thing I look at when a book isn't selling is the cover. The cover is the first thing a customer sees. If they aren't getting past the cover, they aren't evaluating the price, or reading the description, or reviews, or the sample chapters. It all starts with the cover. Do I check the other elements? Yes, I do. Before I go and rip an author's dream cover to shreds, I take a detailed look at their price point. Are they asking too much? Does their price match the size of their audience? And what about the product description? Are there any typos? Is the book getting decent reviews? These details matter, too. But when everything is investigated, I often come back to the cover. 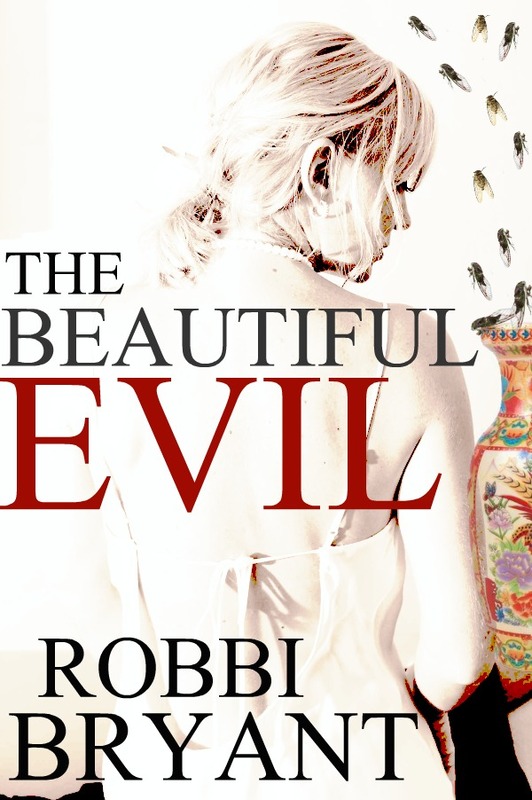 In Robbie's case, her cover looked nice enough, except she was inadvertently marketing to the wrong genre. Her cover, in my opinion, said, "fantasy", when her book is actually a suspense about a very sad woman. Changing her cover was a big pill to swallow, but Robbie couldn't be happier. After tweaking a few things on her book page, creating a new cover, and joining Amazon Select, Robbie went from the 410,000 ranking to #250'sh and is still in the 1,000's, selling at a $2.99 price! The lesson I learned with her design is how critical it is to create a cover that truly speaks for the story, matching the cover image with the product description. If the two don't match, you may be losing sales and never know why. Of course pinpointing the root cause of slow book sales is like trying to spear a minnow. It can be done, you just need a really small spear! The good thing about indie publishing is, you can fix what is broken, like a cover, price, etc. If you apply what you learn, if you study your book sales, you can actually receive dividends for paying attention. So that's just what I did… I payed attention. With all the fanfare I stirred up when presenting the book cover for Twisted Vengeance, I still changed the cover 3 times… after you all voted. Why? Because the cover was not communicating my message. In all my initial cover designs, I failed to feature Rick Burns, my protagonist. Instead, I featured the scary looking kid, probably scaring away most of my readers. Eh, I could be wrong, but I'm opting for a change. 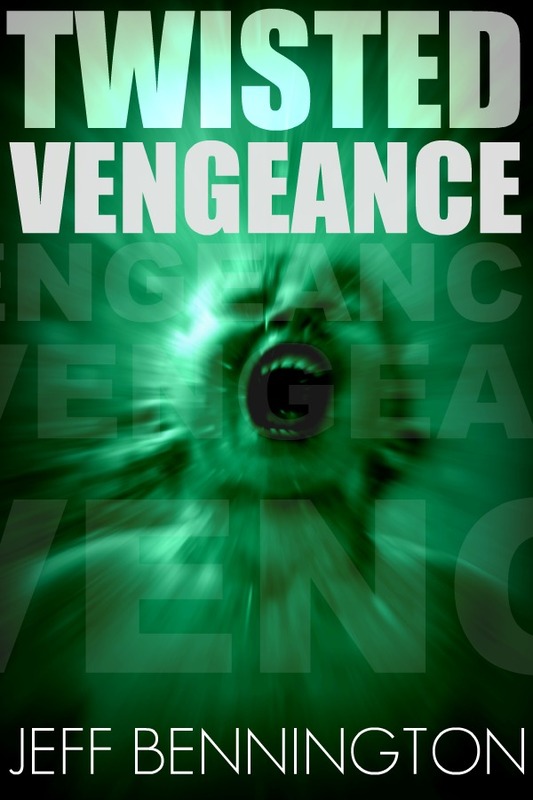 Twisted Vengeance is very much about Rick Burns and his search for freedom from his past and the demons that surround him. Here's what I've done. 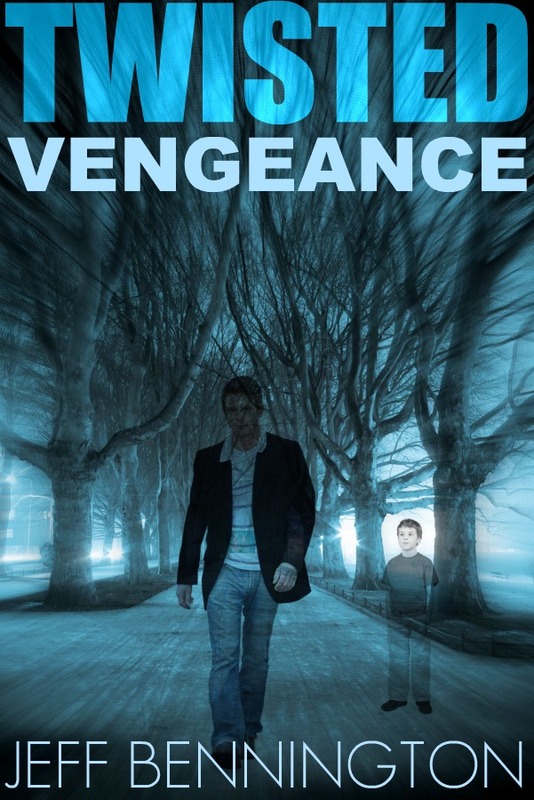 My new cover speaks more for Twisted Vengeance by keeping the boy and the horror in the background, and placing Detective Burns in the foreground, watched by the creepy kid. The truth of the story is, there are scary moments, horrific moments, but those do not define the book. The old cover literally screamed horror and Twisted Vengeance is a supernatural thriller in its truest definition. The new cover, even the blue, addresses the supernatural without being obnoxious. So many lessons to learn… so little time. If you want to shave some months off of your "Author Learning Curve", get a copy of The Indie Author's Guide to the Universe. I teach how to create an effective ebook cover among many other critical issues like effective marketing and pricing strategies. The Indie Author's Guide to the Universe is only $3.99 on Amazon for a limited time for my readers! 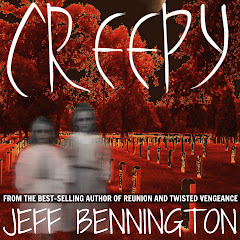 Jeff I agree, but what do you do when the publisher decides on the cover design and fights off the author's input? Enjoyed the post. Thanks for the wisdom. And the commenter above has a good point. If the publisher knows his stuff, maybe he/she should trump the author. But if the publisher is barely out of the barn and inflexible, then there could be an issue. Covers are pretty darn important. They also need to be seen tiny on sale at Amazon as well as a bookstore shelf. Very useful post. I'm lucky in that I have two close friends who help me with my covers, one of whom is a professional photographer and the other of whom is a graphic designer. I think long and hard before I go against their advice, because they just understand how to make something pop visually in ways that I don't. I've got 3 totally different cover "styles" (see my Facebook Page for the Phoenician Series to check out the 3 disparate images). It's a SciFi Thriller/Mystery and all 3 cover ideas have such totally different feels to them. Granted, SciFi has different styles, so all the more reason, I need to pick the one style of imagery that matches the style I feel my book delivers. I think you really nailed it that the single-best part of Indie Publishing and especially for eBook Indies is that we can change things like the cover art "at will." I can experiment. I could try all 3 covers if I like and see how each performs for 3 months while holding all other factors steady. Or try out different descriptions to go with each different style. The blue man with glowing brain cover probably needs to have more description focused on the memory manipulation and mind control aspects of the story than on the people (humans and Phoenicians). Since I write character-centered stories, though, I'll start with the people-centered cover art. Thanks again for this blog post. It really helped me feel good about my choice. I saw another one but now my dyslexic brain won't find it again. I've only recently started following you on Twitter and I did so because of your blog content--not your typos or spelling. Thanks for continuing to deliver great advice to the community. We have to support each other. Resistance is futile. The Power of the Collective shall prevail. @Gael ~ I'm so sorry to hear that. I'll check that as one more reason to go indie! @Golden ~ If the publisher is a big six publisher, I'd let there marketing and design team work their magic. But not all publishers are created equal. Some small press and online publishers create covers WORSE than what you get for free at LULU. So in that case, you are screwed yet again. Come on guys, you are making this indie author issue a non issue. If you want control, traditional publishing is the wrong place to be. If you could care less, you wouldn't want to be an indie author, because the cover is that important. @History ~ True dat> I write an entire chapter, with examples, on how to fix a lame book cover and make it pop as a 1"x3/4" thumbnail. @Mari ~ great point. If you are not an expert, let someone else do it. @Marjorie, I'd write a blog post with all of your samples and let your fans help you choose. You'd be surprised how helpful they are! And thanks for the heads up on the typos. I was sick and tired when I wrote this. Feeling better though. Jeff, I seriously took your advice to heart and actually asked a professional graphics designer I know to barter with me - she's going to spruce up the original design concept and make it professional without destroying it. I have some graphics skills but book cover design is an art form unto itself. She has 30 years video editing and print production design experience--and is an indie author herself so she's way more qualified than I am! Get the Kindle version and run it through Calibre to make an EPUB. It won't be perfect but should be readable. Try with a test MOBI file first, like something from Project Gutenberg. I would spend lots of time making multiple covers and receiving feedback, but unfortunately, I have to pay others to make a cover for me. @Jennifer - I will publish to B&N soon. 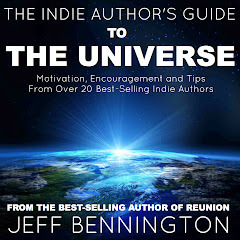 Jeff, I really enjoyed The Indie Author’s Guide to the Universe and I am especially impressed with your eBook covers. One thing I haven’t seen you talk about, though, is where you get your images. Can you talk about that a little? Thanks so much. @Webbiegirl - I was in smashwords back when I wasn't making any money. KDP Select has changed all that. 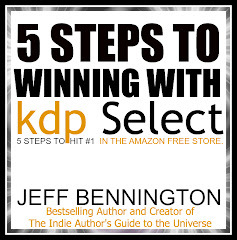 See my post, "Why I Joined KDP Select", read The Indie Author's Guide to the Universe or read my post at The Creative Penn, "Why KDP Select is God's Gift to Indie Authors. Any of those will answer your question. @Stephen - The bigger question is, how do I manipulate the images I use? Anyone can get royalty free pictures. Just Google search royalty free pics (not really free, but affordable). 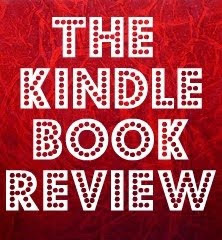 The trick to ebook cover design is making the pick for a tiny thumbnail, not a 6x9 cover. You can't just slap text on a picture. That pic needs to be older and sized so that your title and name have plenty of room without blocking the story on the cover and that requires a sense of color and space and texture. I get my royalty free pics from dreamstime.com and manipulate my pics on picnik.com. Picnik is closing on April 19th, unfortunately. Now I have to buy a program. Sorry, Steven. I spelled your name incorrectly. I understand some writers have tight budgets, but designing your own cover would be like me ( a graphic designer) deciding to just write a book because I can use a word processing program. I went tO college for 4 years to learn how to design & it isn't something you just do because you can use photoshop. Many cover designers & illustrators such as myself would negotiate a % of sales & help with book promotion. I have seen some gawd awful illustrations where writers just decided to draw some 1st grader level drawings & destroyed their story. Again great post Jeff, I'll be coming back here for more advice and tips! Suspense Author Sells All His Books for 99¢. A New Way to Sell eBooks. What Writers Do Between Novels? What is Your Author Talent Class?